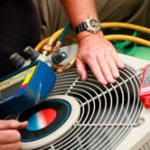 We are a full service company, servicing all makes and models of air conditioning & heating systems. Our convenient location in Coral Springs allows us to serve all of Dade, Broward and Palm Beach County. There may be FPL utility rebates, tax incentives and promotional manufacturer’s rebates available for some central systems. These are brand, size and efficiency specific, but Brandon is knowledgeable as to all brands as well as the promotions accompanying the various brands. Warranties are important also. Some have traditional 5 year warranties (generally for parts) but may be extended to ten years with selected brands. One of the options offered in conjunction with duct cleaning is the dryer vent from a typical clothes dryer. Lint filters accumulate lint and other dust, but most homeowners don’t pay much attention to this when cleaning the main air-conditioning ducts. While not a direct health issue, the dryer vent can consume a lot of energy by not promoting the free flow of vented air to the outside of the home. Dry time is increased as well as heat levels which costs electric dollars and possibly a safety issue. 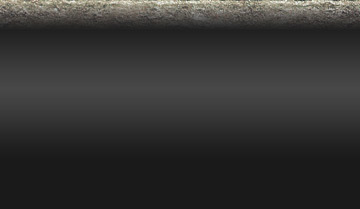 It is recommended that this service be included with a standard duct cleaning for a nominal extra charge. Once the air ducts in a home are cleaned, they should stay relatively free of debris for several years. Accumulation over a shorter period indicates inadequate filtration or leaking duct seams and joints. This condition can also let warm humid air mix with the cooled air which will negatively effect comfort and as well as energy usage. Proper installation and maintenance of your air conditioner helps ensure energy efficiency, consistent temperatures throughout your home, and a long life for your system. Selecting the right residential contractor is therefore vital. Brandon Service Corp has been in business since 1968 and has a proven track record of delivering professional quality service for our customers. We will meet and exceed your expectations to deliver timely and courteous service. Copyright 2011. All rights reserved. Brandon Service Corp.